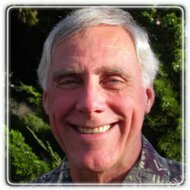 Benicia Therapist: Larry Lease - Therapist 94510. Send A Message To Larry. As a licensed relationship therapist with over 30 years experience, I work exclusively with couples and individual adults. Using research-based methods and an interpersonal approach, my goal is to help you find more satisfaction and personal growth in your family, work and community life. Contact me about relationship problems, stress, sexuality, grief, career challenges, anxiety and depression. We will work together to develop your potential and self-confidence, establishing realistic and meaningful goals, and work toward lasting changes with safety and support. I will help you challenge self-defeating patterns, have deeper insights, and relate to loved ones with courage, integrity, and an open, generous heart.